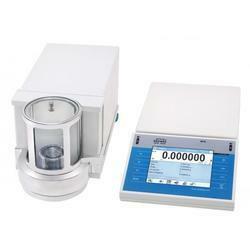 Manufacturer of a wide range of products which include micro balances. Selective tuning to actual interfering frequency. Applications based on the ANDROID system. Various 20 weighing units like gm, mg, ct, oz, dwt, mom, GN. Looking for Micro Balances ?